The older we get the harder it is to come up with gift ideas for our wish list. It’s not because we stop yearning for toys, it’s that anything we want in the normal gift giving price range, we’ve probably already bought for ourselves. So Primer is tasked with one simple goal: What are some cool things we’d like to have, but don’t want to pay for? What follows is our Gift Guide of over 130 ideas full of gadgets, essentials, and upgrades that’ll still give you that Red Ryder BB Gun smile when you tear away the wrapping paper.Our largest and most interactive gift guide ever. The “Primer Approved” badge is a classification for some of the products we’ve tested hands-on and feel they’re worth the money. Companies can’t pay for this distinction: The product must have met both the advertised promises and our expectations. To any ladies reading this: I got my fella that Brathwait rose gold watch for his birthday and it is absolutely gorgeous. He wears it everyday. 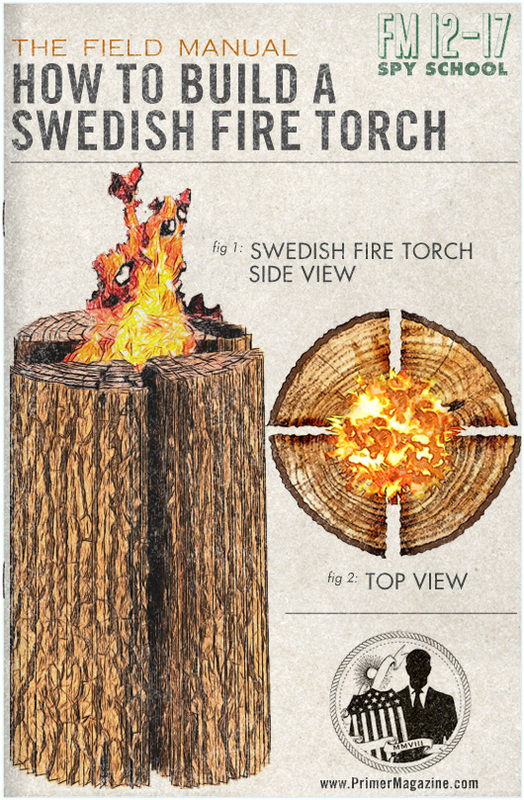 And their packaging is also really awesome. Two thumbs way up. Do you happen to know any sites where I could find equivalent gift guides for ladies? Depends on what kind of gal you’re looking for! If she is into fashion/makeup/girly girl stuff, I definitely recommend LaurenConrad.com. I would also just go check out her Pinterest page! You’d be AMAZING at how much you can learn about how your girl wants to dress, or what she is coveting through Pinterest. If she follows any fashion of beauty bloggers, check them out as well. Most of those bloggers list at the bottom of their daily articles where to find the items that they were wearing. The suggested phonograph will definitely give your records that nice crackle. Because these cheap players will destroy your nice expensive records. Just a starter suggestion, do you know of a better one in a similar price range? Unfortunately, no. Unless you find a used one. The two immediate things I see here are a terrible ceramic cartridge (needle) which sounds bad and tears up the vinyl, and lack of a tone arm counterweight/anti-skate which puts more force than necessary on the record. I feel the brunt of this because I often buy used records online, and I guess I listen to the type of music that hipsters would listen to. A lot of these hipsters buy crappy record players because vinyl is popular. They also buy sweet albums, and play them on these cheap machines. So by the time I get these records they’re really noisy from getting chewed up on each play. It’s kind of pointless to invest in vinyl if you aren’t going to buy nicer equipment. Without quality gear you might as well just listen to spotify. I have an Audio Technica LP120, which is a great entry level setup. But it’s kind of pricey for this list. The closest I can think would be an Audio Technica LP60 ($100-$120). Of course, you’ll need an amp and speakers. Okay on second thought, this is way too much to ask. How about, buy whatever you want. I rescind my original snarky comment. Just please don’t sell your used vinyl to me, cause it’s a waste of my money. Haha! Thanks for the comment. I’ve always been curious about vinyl but the equipment and albums seem expensive. What do you find you like about it versus digital? Honestly, I just like the whole ordeal. I don’t have a killer system. It’s all analog, vintage amp and all that, but I don’t go crazy with it. It sounds great but I’ve never done an A-B test or anything. What I like is it requires me to sit and listen to a whole album. Ever since my first iPod I’ve gotten into this habit of just jumping around from artist to artist. It means I’m going to have to slow down and just listen to an album straight through. No skipping, no pausing so I can watch a video. Just music. I find the imposition to be relaxing. It’s kind of like how driving a manual transmission makes you feel more in touch with the car, vinyl makes you feel more in touch with the music. As a heating and cooling service technician, I’d steer clear of the nest thermostat. I have seen lots of problems with them and have even seen them cause damage to the equipment they are hooked up to. If you are looking for a top end thermostat with a great look, you wont beat the Honeywell pro 9000. That’s a shame. They seem so cool. Can I suggest a much cheaper bluetooth speaker that is fantastic for only $25? Or even the new Angle 3 for $28. I would consider putting the sennheiser 595HDs in their over the current ones. Those in the guide aren’t near Audiophile grade, while the 595s are a great bargain for those who care about sound quality, especially if you can get them for ~$100 during sales. And they don’t require an amp. *I mean the sennheiser 598. Great article, as usual. This is one of my favorite new annual traditions! But Andrew, what would be AWESOME, would be a matching list for the women in our lives. 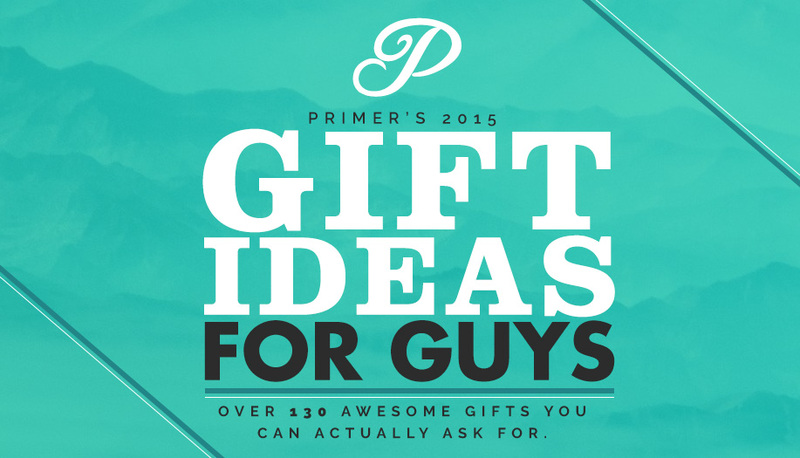 A wife/girlfriend gift guide would be EVER so helpful. I am the proud owner of both the panini press and the Global knife featured here and they are MONEY. I use them both almost every day. Pretty much anything tastes better hot off the panini press!! Is there a gift idea for gals? Seriously would help me right now. No idea what to get the wife.